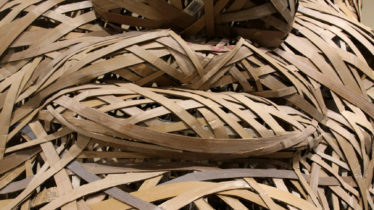 Cardboard is in fact what the dutch call a “kreukelzone”: the protective crushable area in a car. 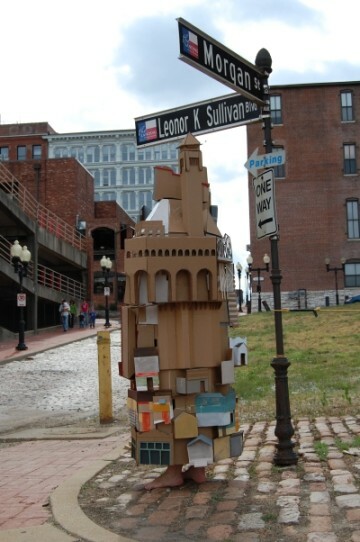 A cardboard box is protection for our stuff, like clothing or architecture is protection for our selves. 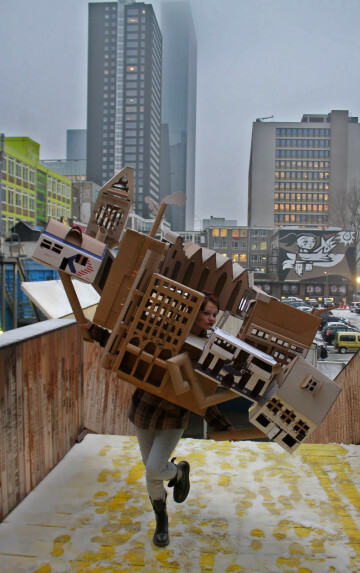 I am fascinated by people making costumes shaped as buildings, architecture or furniture. 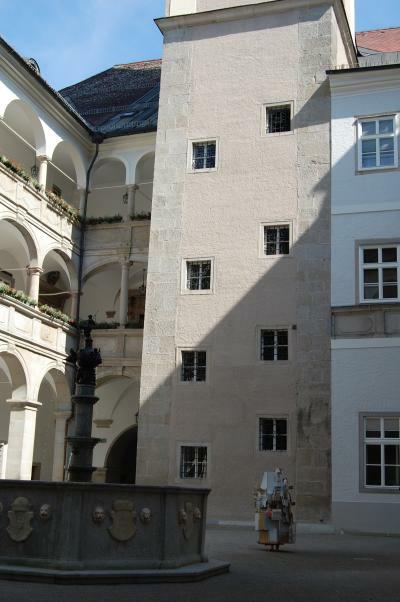 Scale models of buildings have a poetic attraction. 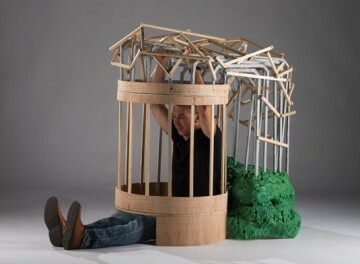 Maybe it has something to do with growing up: the size of your house when you we’re a kid seems small when you return as an adult. It also brings the scene from Alice in Wonderland to mind, where she grows so much that she’s bursting out of the white rabbit’s house. 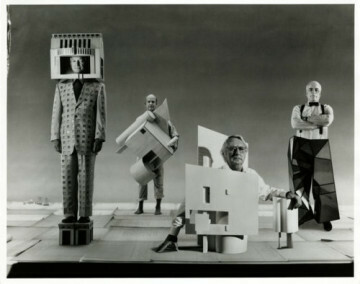 Clothing and architecture deal share the same principles: the human size, color, shape, proportion, space, functionality. They both exist to protect and cover the human body. In away a piece of clothing can be seen as portable, flexible architecture. 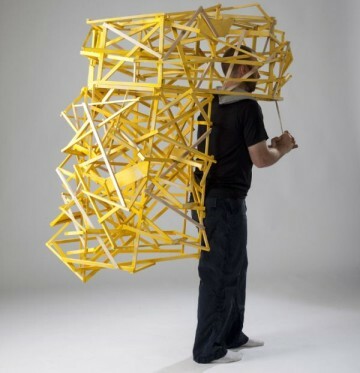 What happens if architecture becomes portable? And attached to our bodies? Tracy Featherstone (USA) creates a sort of hybrid between architecture, furniture, clothing, body extensions and the human figure. I love this idea: a small city roaming around a big city. Check these beautiful works by Emily Speed (UK). Her city costumes are called “Inhabitants”. 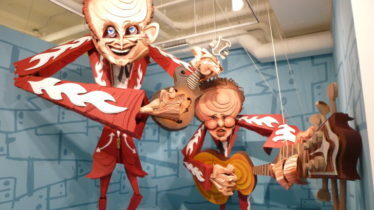 They look lost in the big city. A kid version of the city, lost in the body of the grown up. The bare feet of the wearer of the sculpture emphasize the fragility of the human inside. Does she know where she is going? 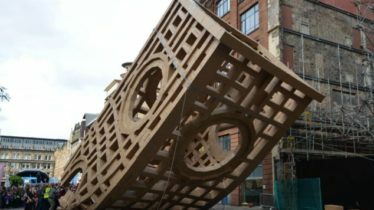 Emily: “Inhabitant is about trying to find your own place or identity in a city and the representation of psychological space”. The costume also reminds the experience of entering a new city, which often has an overwhelming effect: as if it swallows you! 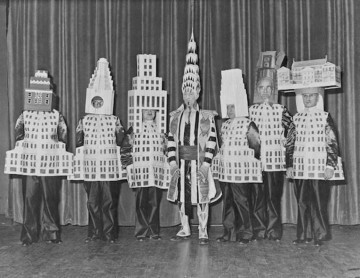 This image is from a ball in New York City (in 1931), famous architects dressed as buildings they had designed! 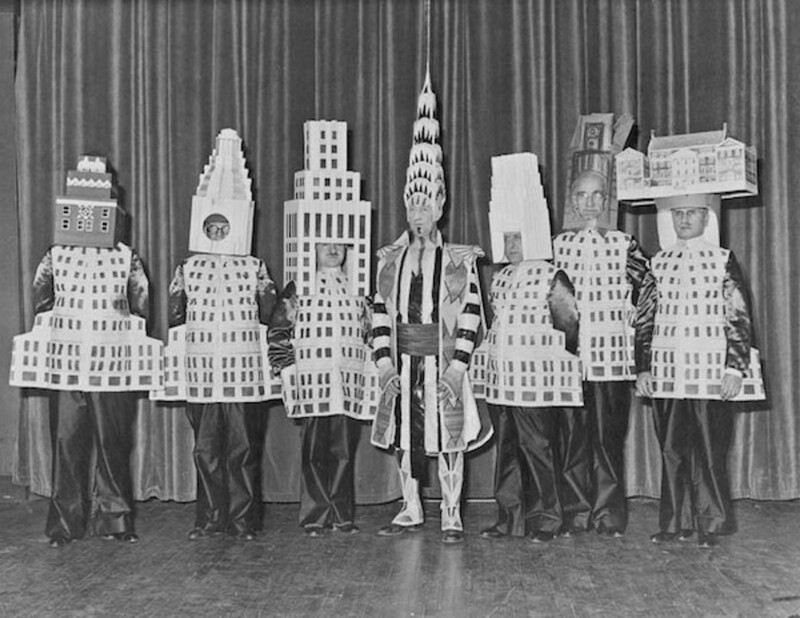 The Chrysler building guy in the middle looks like he’s a bad guy from the power rangers 🙂 I guess that for architects it’s normal to make models of their buildings, so these costumes are just another step in playing with scale. Another group of New York artists: the New York Five are pictured below: wearing their own designs for a 1996 Vanity Fair feature. 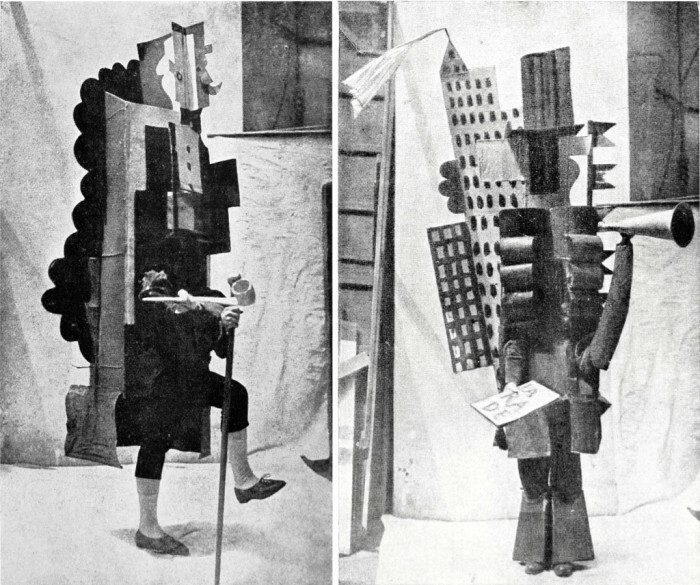 Oh yeah, and then there’s Picasso who made some wearable buildings for the Parade Ballet!